Wherever you are, there’s a Lube Mobile near you! You can book online with us anytime! We work on all makes and models such as Toyota, Mazda, Holden, Hyundai, Nissan, BMW, Mitsubishi, and Ford to name a few for quality service and repair. All services provided on site. If unable we have 18 workshops around Australia for those big or unsafe jobs. Urgent car service and car repairs when needed. Most bookings are made for the same or next day so you can back into your life, and not stressed out taking or dropping off cars to workshops and losing the car fot the whole day. Full range of services including log book km servicing, generic fixed price servicing and fuel injection services. Best practice ethical standards of service and conduct and member of industry associations around Australia. You’ll see our vans on the road all around Australia every day, on their way to help out Aussie drivers. You’ll always get fast, efficient and friendly local service from Lube Mobile, wherever you are. When you’re looking for no-fuss, no-worries service you can rely on, just contact us. We have great new online services incuding real time arrival times and quotes for repairs and services for most makes and models. With Lube Mobile you always know what you’re paying for - No extras! Full national warranty - 12 month or 20,000km warranty across Australia. Multiple options for preferred method of payment. Only authorized work is carried out - You give the OK before we start work. You always remain in control of the jobs and costs. 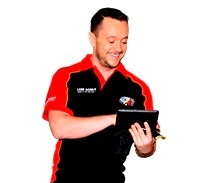 Our mobile mechanics are among the best in Australia. Expect nothing but the best with Lube Mobile. With our size we are able to offer much highers levels of support and back-up when those unexpected problems do occur. We are never too far away. It’s easy to book your car service or car repairs job with us anywhere in Australia. You can book in online whenever you want! There’s only one short form to do, and leave the rest to us! We’ll be right over to your place! Our new improved systems are even connected in real-time to our operations dispatch system. So you will be able to see the next available time we can get there or other options for convenience. We have also just added the option to pick the mobile mechanic you prefer. So once you like a mechanic you can pick him and then see his specific times available and book him in all online. Too easy ! All through Australia, just click on the link for your area. You’ll find your suburb listed alphabetically. 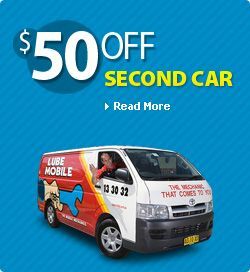 If you can’t find your suburb listed, contact us on 133032, and we’ll find the nearest Lube Mobile to you! Sometimes we will travel extra if you are not listed below so please gives us a call.